Students perusing the collection at the Erfoud English library. 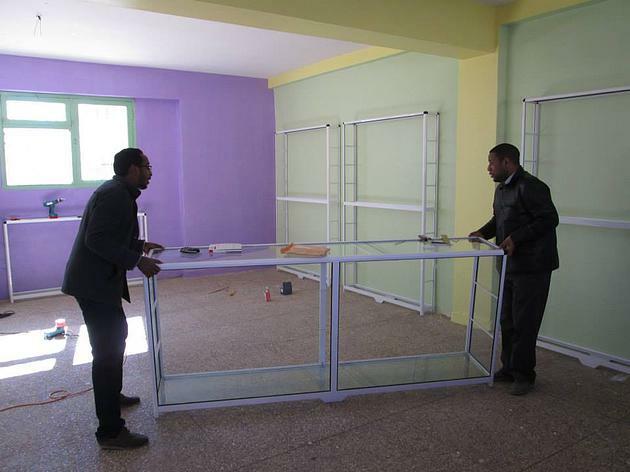 Photo courtesy: Morocco Library Project. California native Barb Mackraz traveled to Morocco in 2013 eager to take in the country’s gorgeous arts, architecture and mosaics, pinning Marrakech and Fez at the top of her itinerary. But thanks to a local guide named Muha, who led her and her travel companion from these bustling tourist destinations to the Atlas Mountains, it was a small, thatched-roof building that ultimately stole her heart. 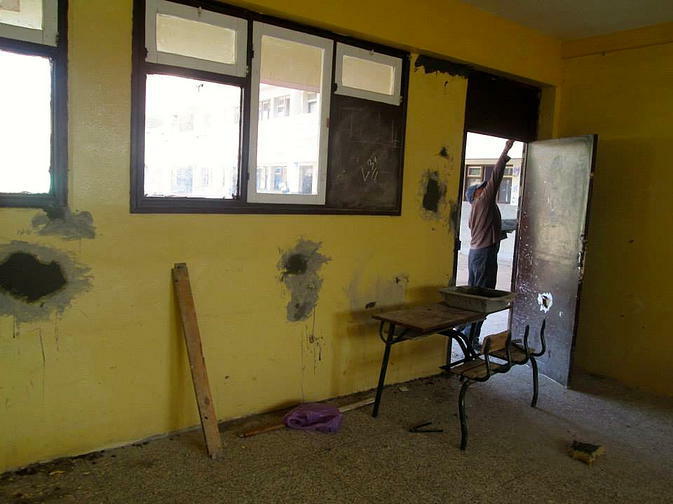 A few months later, Mackraz was back in Morocco, visiting schoolhouses across the country. 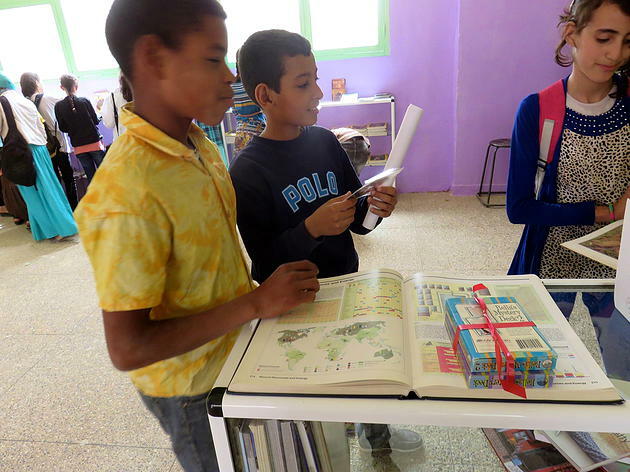 It was in Erfoud—a small oasis town in the Sahara Desert, in eastern Morocco—that she discovered her new mission: building a library to supplement a local school’s after-school English program. On that visit, Mackraz met with the students and Mr. Bakhri to change that, starting by compiling a list of books they’d like to read. The future library before the renovation. 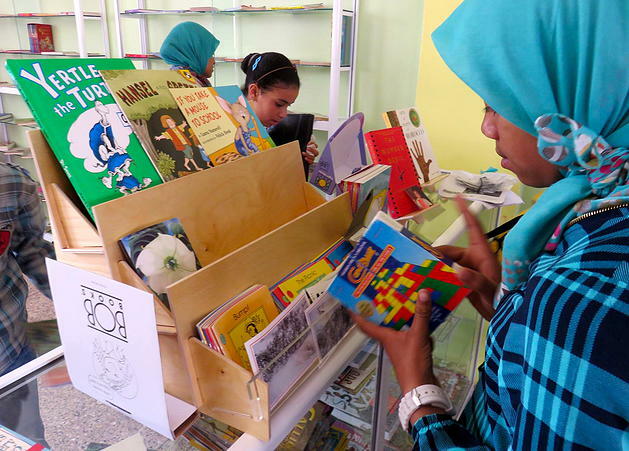 Photo credit: Morocco Library Project. She sent the books to the school over the summer, and in September 2014 returned to help draw plans with the students on how to lay out the library. 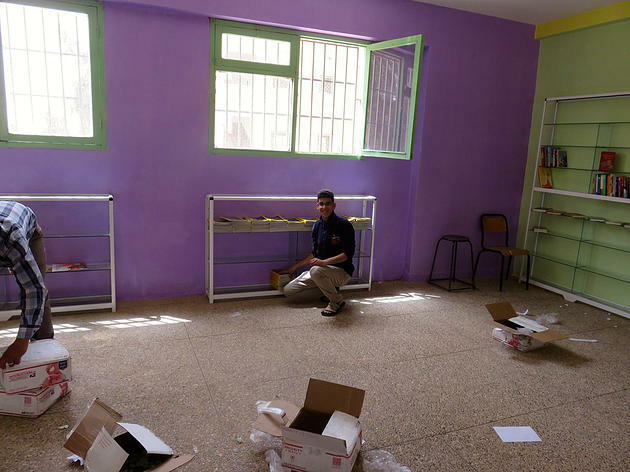 Students work on renovating the library. According to Mr. Bakhri, some of the most popular books in the collection are To Kill a Mockingbird, Heart of Darkness, Harry Potter, The Catcher in the Rye, Things Fall Apart, The Adventures of Tom Sawyer, The Old Man and the Sea, and Of Mice and Men. Right now, the library holds about 700 books, and Ms. Mackraz hopes to reach 1,000. Though many of the students that she first engaged with are now out of school, the program is now accommodating a new crop of students who have just started learning English, so many new books will be targeted to beginner readers. 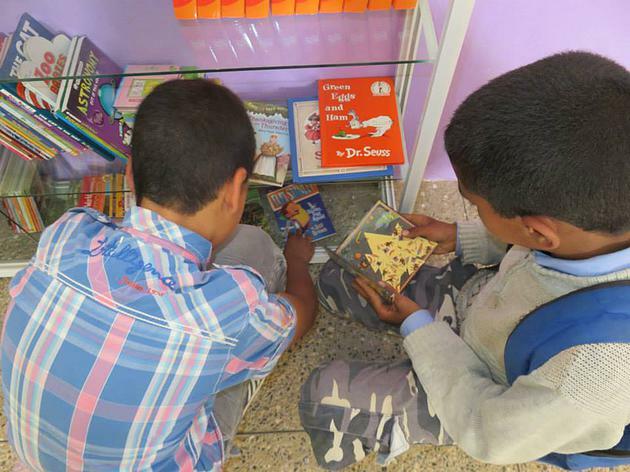 Ms. Mackraz plans to send her next shipment of books in November, and, with the help of the Rotary Club of Woodside and Portola Valley (California), a second library is underway in Taroudant. To learn more about these projects visit www.moroccolibraries.org. Thank you very much, Jordana Merran, for such a great article about the library. I’m sure it will give a clearer idea to everyone to about the great project. 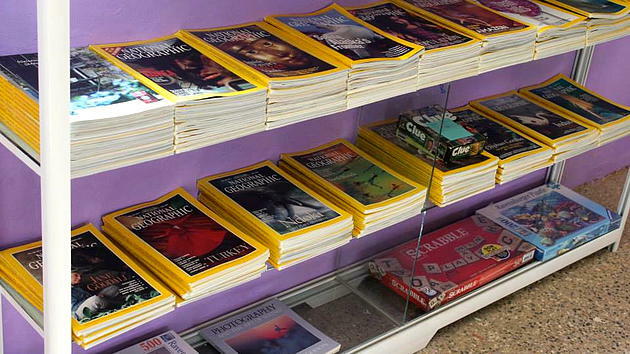 If we live in Morocco and have english books, is there a desire for donations? Fantastic and simple idea. There is a not a stitch of difference between two cultures for younger generations or older. They both love good literature. Moroccans and American cultures are formed by a Melting Pot. Moroccans and Americans both are diverse and enjoy the great things that can be shared by someone different than yourself. Good literature is the same across different cultures. Minds like to be fed with good food. 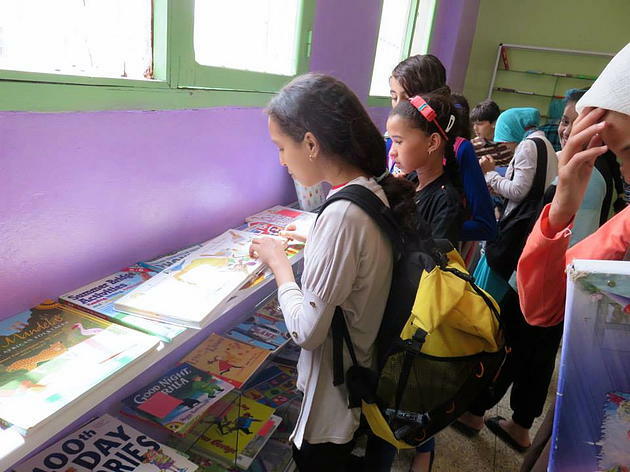 Providing books to rural communities in Morocco and and the US gives minds that crave “good books” an opportunity to learn the love and grace that is provided in good literature. It is an easy solution to politics for generations to come.